KenTon Hearing | Buffalo, NY Get your life back with better hearing! Why Should You Consider Ken-Ton Hearing? Our #1 goal is to provide hearing loss solutions in a welcoming and helpful manner. Ken-Ton Hearing is proud to have four doctors of Audiology on staff. Ken-Ton Hearing has been a trusted name in our community for over 35 years! We know you want to make health decisions carefully. 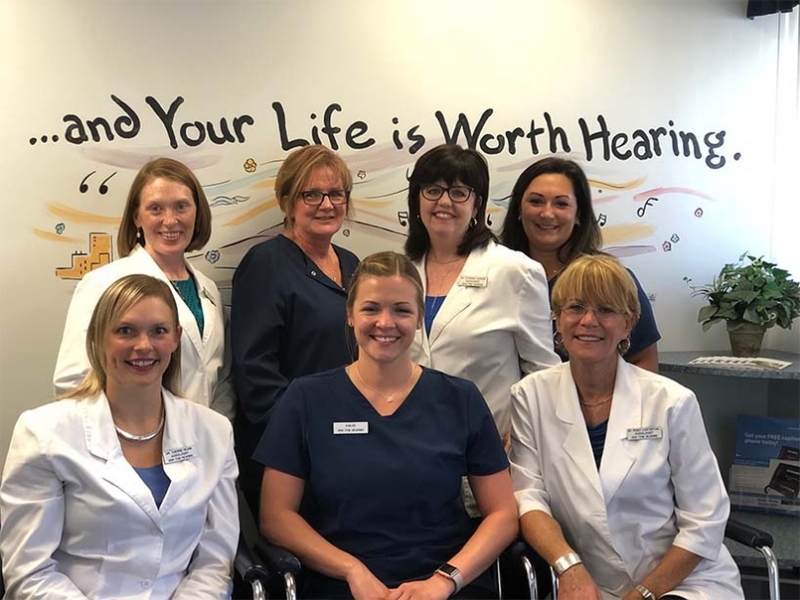 Your first step in the right direction is a quality diagnostic hearing evaluation by our knowledgeable doctors of audiology. Solutions for hearing loss differ. Among other concerns it could simply be wax, or more critically a need for medical attention, or exciting new technology hearing aids may be your best path. Have confidence that we will guide you in the right direction to better hearing… a better you! I couldn't be happier with my hearing aids or with the staff of Ken-Ton Hearing. I can't believe the difference in what I can hear. And people don't have a clue I am wearing them. Dr. Krause helped me choose the best color etc for my hair color and style. The Ken-Ton Hearing office is warm and welcoming…with a friendly and professional staff. They attend to every detail and leave no question unanswered. Thank You Ken-Ton Hearing for exceptional customer service. I visited Ken-Ton Hearing convinced that I needed Hearing Aids. They conducted a professional hearing evaluation and determined that I needed to see an ENT surgeon for an issue that could be resolved without the use of hearing aids. Thanks Ken-Ton Hearing for your professionalism and integrity.